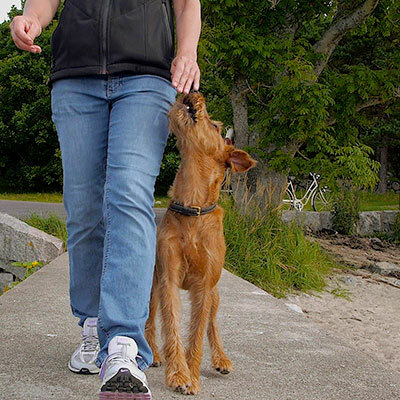 Does your dog like learning new things and work well socially? Would you like to inspire others to train their dogs by using the methods from Better Dog Academy? Would you like your dog to shine like a star? Then why not train your dog to become a certified “Better Dog”? There are four levels of certification. By certifying your dog as a Better Dog you will show that you have a well-trained and well-functioning dog. To prove this, you will get a certificate and a bandana with the print “I am a Better Dog”. The first certification costs 55 € and is paid in advance by using PayPal. The second certification costs 45 €, the third 35 € and the fourth 25 €. Download the app from AppStore here! Download the app from Google Play here! By certifying your dog as a “green” Better Dog you show that your dog is well trained and functioning. 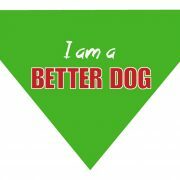 To prove this, you will receive a certificate and a green bandana with the print “I am a Better Dog”. To become a certified “green” better dog, your dog must know three (optional) exercises from the activity exercises that you find in the Better Dog Academy app. Also, your dog must work well in two situations described in the category “Everyday Obedience”. Film your dog while it’s doing three activity exercises that you find in the Better Dog Academy app. The exercises should be easy to follow and show focus and joy. Film your dog showing two everyday situations. Choose parts from the category “Everyday Obedience” that you find in the Better Dog Academy app. For example, you can show when the dog walks nicely on a leash; that it can walk calmly past other dogs or that it can control its impulses to guard, chase something interesting or eat something tasty. By certifying your dog as a “blue” Better Dog, you show that your dog is very well-behaved and socially adept. 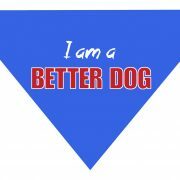 To prove this, you will receive a certificate and a blue bandana with the print “I am a Better Dog”. To become a certified “blue” Better Dog, your dog must know six (optional) activity exercises. 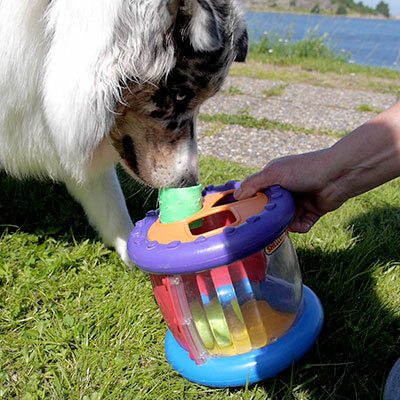 Also, your dog must show that it works well in four of the situations described in the category “Everyday Obedience”. If your dog already is a certified “green” Better Dog, you need to complete only three new activity exercises and two new exercises from the category “Everyday Obedience”. Film your dog while it’s doing six of the activity exercises that you find in the Better Dog Academy app. If your dog already is a “green” Better Dog, you only need to film three new exercises. The exercises should show focus, joy, and it must be clear which exercise the dog is doing. Film yourself and your dog in four everyday situations. Choose from the category “Everyday Obedience” that you find in the Better Dog Academy app. If your dog already is a “green” Better Dog, you only need to film two new exercises. You can for example show when your dog comes when called, that it can stay put and that it stays in contact with you no matter what goes on around you. At this level, the dog must start the exercise at your first signal and work actively. Alternatively that it holds its position until it is rewarded or gets a signal that the exercise is over. One or more exercises must be done using a distance of at least one meter between you and the dog. By certifying your dog to become a “red” Better Dog, you show that your dog is extremely well behaved, socially adept and obedient. To prove this, you will receive a certificate and a red bandana with the print “I am a Better Dog”. To become a “red” Better Dog, your dog must know at least nine (optional) activity exercises from Better Dog Academy. 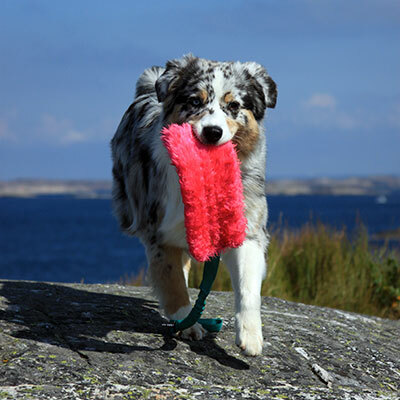 Your dog must also show that it works well in six of the situations described in the category “Everyday Obedience”. 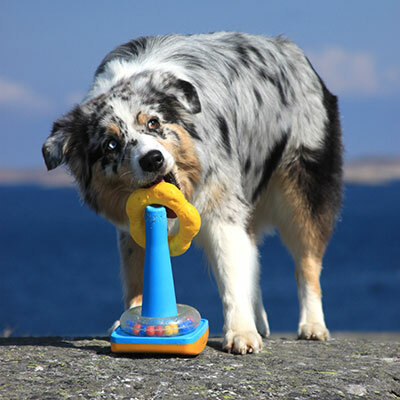 If your dog already is a certified “blue” Better Dog you need to complete three new activity exercises and two exercises from the category “Everyday Obedience”. Film yourself and your dog in six everyday situations. Choose parts from the category “Everyday Obedience” that you find in the Better Dog Academy app. If your dog already is a “blue” Better Dog, you only need to film two new exercises. You can for example show that your dog stays within a suitable distance when it is loose and that it can stay put when the distance between you is longer, no matter what goes on around you. At this level, it must be clear that your dog can do several exercises off the lead and also that it communicates with you even when other people and dogs are around. Two of the exercises must be completed directly after each other, without stopping to reward. For example, first you ask the dog to dance a few turns and then it must sit nicely before it is rewarded. By certifying your dog to become a Master Dog you show that your dog is something extraordinary! It is good at doing tricks, works well socially and is extremely obedient. 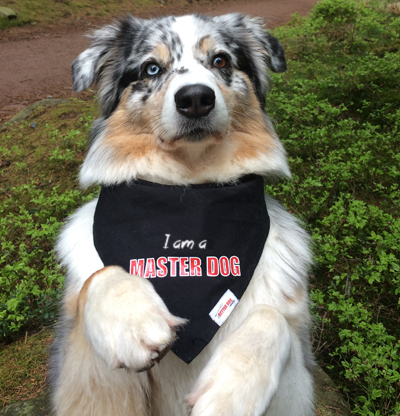 To prove this, you will receive a certificate and a black bandana with the print “I am a Master Dog”. To become a Master Dog, your dog must know all of the activity exercises in the app. Also, it must show that it works well in ten of the situations shown under the category “Everyday Obedience”. If your dog already is a “red” Better Dog, you need to complete three new activity exercises and four new exercises from the category “Everyday Obedience”. Film your dog while it’s doing all of the activity exercises found in the Better Dog Academy app. If your dog already is a “red” Better Dog you only need to film those exercises that you have not already sent before. The exercises should show focus, joy, and it must be clear which exercise the dog is doing. Film yourself and your dog in ten everyday situations. Choose from the category “Everyday Obedience” that you find in the Better Dog Academy app. If your dog already is a certified “red” Better Dog, you only need to film four new exercises. It must be clear in all of the videos that no matter what goes on around, the dog can be unleashed and obedient and that it wants to cooperate with you. To become a black Master Dog, your dog must be unleashed in all of the videos, be obedient and cooperate with you no matter what goes on around you. It must also know the more difficult parts of the exercises that you show. For example, bow when you are standing behind the dog, or when you walk around it once. Or that it can stop at a distance (at least 10 meters) and stay put until you reward or give a signal that the exercise is over. You will find more examples in the videos in the app under “How to make the exercise more difficult”. Film your dog when it is doing the exercises described at each level under the headline “What it takes”. The exercises can be found in the Better Dog Academy app for iPhone and Android. They should be done showing focus as well as joy. The videos should be short. You can use a mobile phone, as long as the dog is clearly visible in the videos. Better Dog Academy reserves the right to use videos of good quality in educational purposes, or show on Facebook. The videos should be sent to info@betterdogacademy.com. We reserve the rights to ask for additional material. You can also upload the videos here . Please remember to label the videos using your dog’s name and a serial number if you send several videos, so that we know which is which. Within two weeks you will know if your dog has been approved. The first certification costs 55 € and is paid in advance using Paypal. The second certification costs 45 €, the third 35 € and the fourth 25 €. Feel free to contact us at Better Dog Academy for questions or more info by sending us an e-mail.